Ottawa is the capital of Canada. It stands on the south bank of the Ottawa River in the eastern portion of Southern Ontario. Ottawa borders Gatineau, Quebec; the two form the cores of the Ottawa–Gatineau census metropolitan area (CMA) and the National Capital Region (NCR).The 2011 census reported a population of 883,391 within the city, and 1,236,324 within the CMA, making them the fourth-largest city and fourth-largest CMA in Canada respectively. The City of Ottawa has since estimated it had a population of 943,260 in 2013. 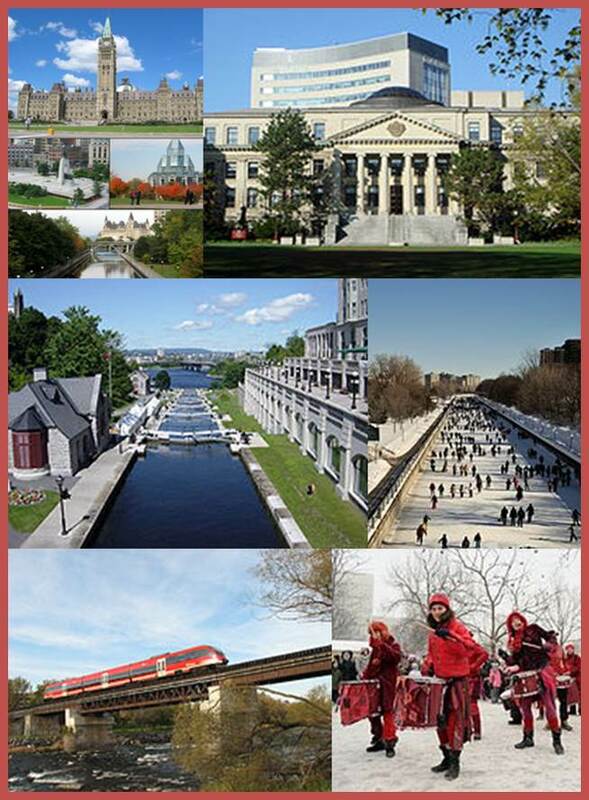 Initially an Irish and French Christian settlement, Ottawa has become a multicultural city with a diverse population. The city is among the most educated in Canada, with several post-secondary, research, and cultural institutions. Ottawa has a high standard of living and low unemployment.